I’ve just got back from two days cutting silhouettes at Whitby Goth Weekend. What an event, I think I must be a closet Goth! I was cutting silhouettes at W.Hamond, the original Whitby Jet shop, on Church St. You can see the connections: Black as jet – Jet from Whitby – Silhouettes are black…. you get the idea. The silhouettes were being cut to raise money for the National Lifeboat Association. For me it was one of those rare occasions when I get to work directly with the public. And what a public! 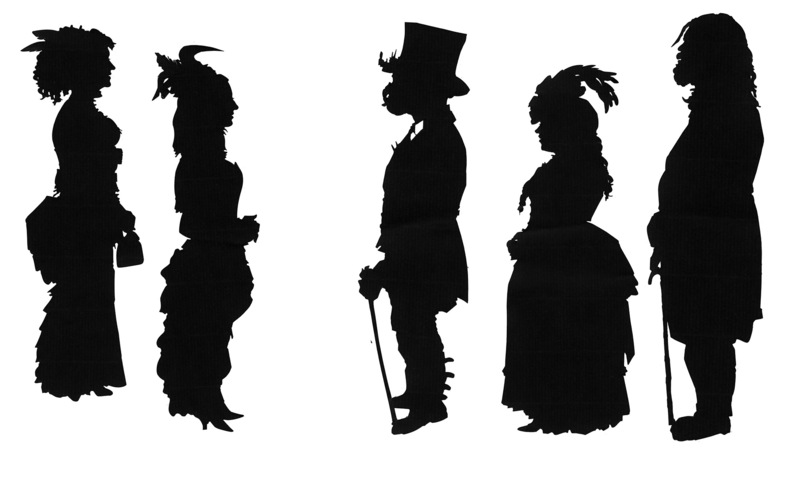 All I really need to do for this event is show you some of the silhouettes I cut, you can see what fun I had. Full-length silhouettes are my favourite kind of silhouettes, and this was the perfect event for them. They are also the most challenging, my many years of life drawing really help. Essentially I cut each silhouette, beginning and ending with the right foot, in one continuous line. I cut up the front and down the back. The challenge is to keep everything in proportion. The way people stand says so much about who they are. I think this is what makes cutting full-length silhouettes so endlessly fascinating and rewarding. 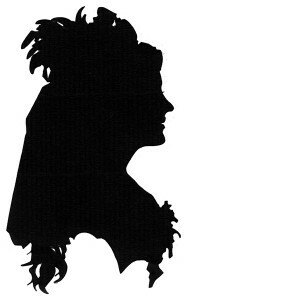 Each silhouette is cut freehand with scissors, in about 3 – 4 minutes. There is no drawing out or photography involved. It looks like I’ll be back in Whitby for the 2016 Goth Weekend, so I look forward to cutting a few more goths then! Thank you again for attending this event for W Hamond, we can’t wait to see you at this years events! Such a great skill to be able to capture such likeness when the costumes the goths wear are so detailed! Thanks Jessica, I’m looking forward to it. Hopefully more people will know I’m there this year and will come looking for me. What a fantastic time we had in whitby. Your work is so creative and entertaining.the dexterity and skills that you have will never cease to engage people artistic flare for a classical skill such as yours for many years to come. 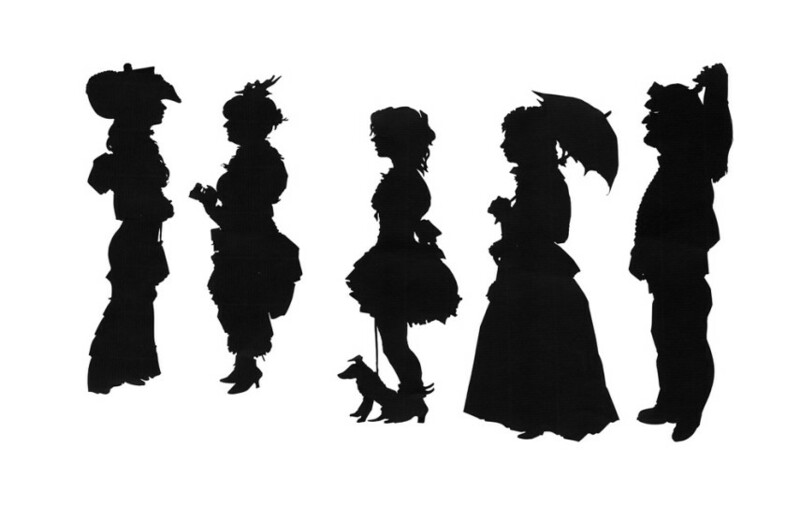 Love the goth silhouettes, You should do comic-con but you’ll end up cutting a lot of Batmans! 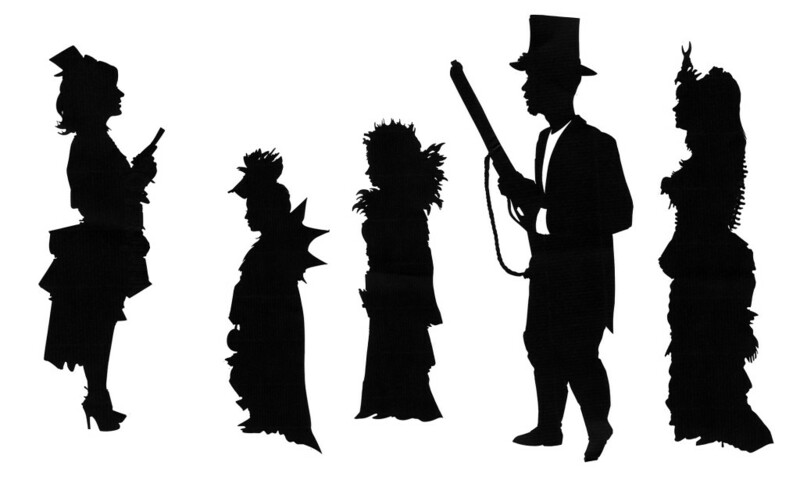 Your splendid Goth weekend work made me wonder – have you tried to create any silhouettes of the great fictional characters? – Frankenstein’s monster, Dracula or a crumple faced Igor – and can you make a silhouette that captures some of their sinister essence? You might be interested in the Silhouettes Pack, an online guessing game I designed for 100 Pics about 3 years ago. The answers are now all over the web, they were never very hard anyway! You can see all the silhouettes here. Frankenstein is at level 9. There are 20 levels, 100 silhouettes in all. Click on each level to see the silhouettes. I hope you have an event in Reading soon, and that Silhouette Secrets gets a showing locally. Regal Henley?? Modern. 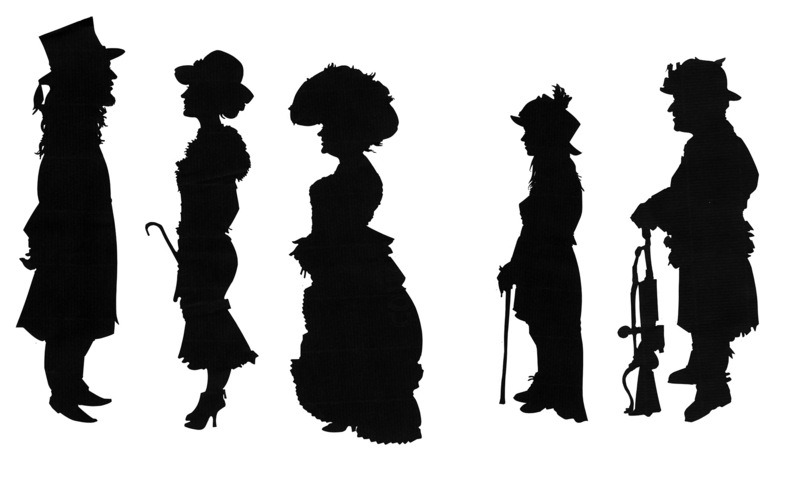 I visited La Ronde a NT house in Devon where two spinsters collected silhouettes as well as other curios. Their silhouettes were quite crude compared to yours and did not demonstrate the same skills. How wonderful to find this lost art still thriving. I know the a La Ronde house well, it is extraordinary. I agree with all here. Your work is great, but I was lucky enough to see you in action, fascinating. Hope you come to London venue again soon.